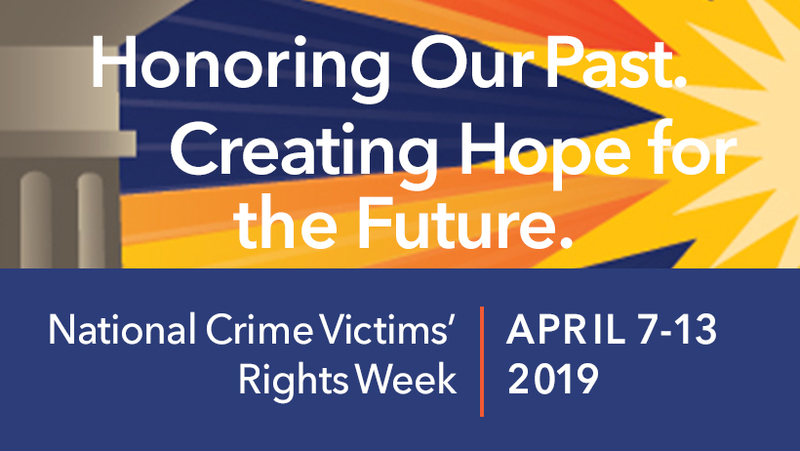 The Contra Costa County District Attorney’s Office, in commemoration of National Crime Victims’ Rights Week (NCVRW), April 7-13, 2019, is raising awareness about crime victims’ issues and rights and introducing the community to the important resources and services available. On Tuesday the Contra Costa County Board of Supervisors presented a proclamation in recognition of National Crime Victims’ Rights Week. The DA’s Office then hosted a recognition ceremony to honor the awardees of National Crime Victims’ Rights Week. During the week, the District Attorney’s Office is honoring champions in advocating for expanded support and services to communities affected by crime. This year’s theme – Honoring Our Past. Creating Hope for the Future. – encourages commemoration, honor, and respect toward the crime victim advocates, allied professionals, and selfless volunteers who have courageously worked for increased rights for crime victims. The theme also invites us to look toward a future of inclusive, accessible, and innovative resources and services for survivors. For additional information about this year’s National Crime Victims’ Rights Week and how to assist victims in your community, please contact our office at 925-957-8650 or visit www.contracostada.org. For additional ideas on how to support victims of crime, visit OVC’s website at www.ovc.gov.